Yesterday marked a big day for me. I finally ventured out to the Asian grocery. I've lived here in Buffalo for about six weeks and managed to drive to Canada for Ikea, gone to Target a million times and even took a day trip to Rochester but still had not stocked up on my Asian food staples. When I told Big Sista this the other day, she in all seriousness said, "How have you been living?" It's not that I need to eat Asian food everyday like I did for 18+ years, but there are a few of those things you can't live without, like kimchi. I most likely postponed my trip to the grocery because I purchased THE WORST kimchi I ever had in Buffalo two years ago. I can't remember which store it came from, but I should have known it was going to be sketchy when it was packed in a styrofoam takeout container. But then again, yesterday's kimchi was packed in a plastic takeout container. Does Buffalo have something against glass jars? Well mission accomplished and the kimchi was quite good. I do miss the giant Asian supermarkets that reside in Houston and Chicago. Aisles and aisles of stuff I may never buy but still, it's good eye candy. 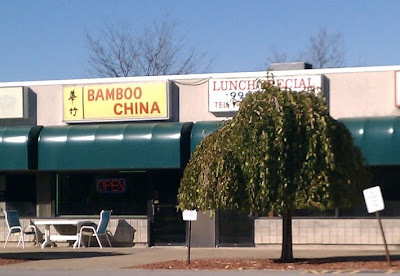 While I was out in the Asian part of town, I stopped by a tiny Chinese restaurant that I had been to the last time I lived in Buffalo. Bamboo China is quite tiny since it only has room for a few tables and has counter service. I found this lil gem because Big Sista's student's grandmother owns the place AND it also makes one of my all-time favorite comfort foods: jajangmyun (noodles with black bean sauce). I've talked about it before but I want to mention that this isn't a common Chinese food to spot on menus. Although it is Chinese in origin, it was popularized in Korea. Usually my parents just take me to the Chinese/Korean restaurants around Chicago but I can only imagine it's harder to find in smaller cities. 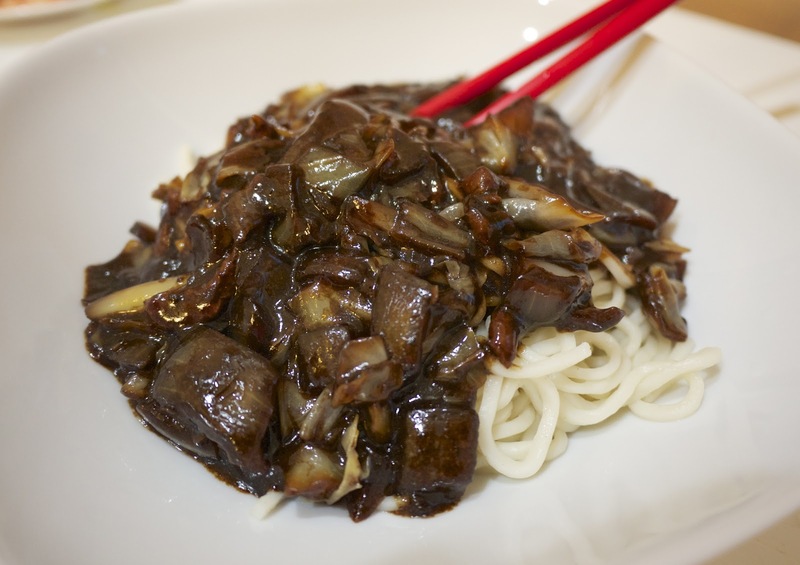 It's even more difficult to find really delicious jajangmyun. Bamboo China's jajangmyun may just be my all time favorite and I can't believe it's in this tiny tiny restaurant. It wasn't too sweet and wasn't too bland and had just the right salty goodness that is jajangmyun. I'd better go back before the snow comes!